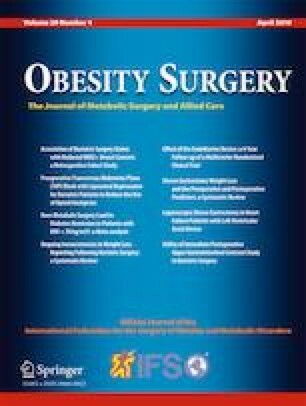 Early Routine Upper Gastrointestinal Contrast Study Following Bariatric Surgery: an Indispensable Postoperative Care or a Medicolegal Heritage? Concerns still exist regarding the role of early routine upper gastrointestinal contrast study (UGI) after bariatric procedures for detection of early complications. We reviewed our database to identify patients who underwent laparoscopic primary or redo surgery (previously placement of adjustable gastric banding), between January 2012 and December 2017. All the patients underwent UGI within 48 h after surgery. Among 1094 patients, early UGI was abnormal in 5 patients: in 4 cases a leak (one false positive) and in one case stenosis (one true positive) were suspected. In this clinical setting, five leaks were observed and required surgical re-exploration: 3 correctly identified and 2 not detected at UGI. Overall, 3 patients developed anastomotic stenosis. Our data suggest that early routine UGI after bariatric procedures has limited utility. This work has been presented, as oral presentation (free paper), at 23rd International Federation for the Surgery of Obesity and Metabolic Disorder (IFSO) World Congress, DUBAI—27–29 September 2018.